For automatic welding processes, the quality of the weld is often dependent on how precisely the welding head is positioned for the seam place. If the positioning is checked by a measurement system before the welding, unnecessary rejection can be prevented right from the start. The elster company uses the scanCONTROL 2810 profile sensor for this. The position of the scanner to the valve is initially measured eight times before the welding process. 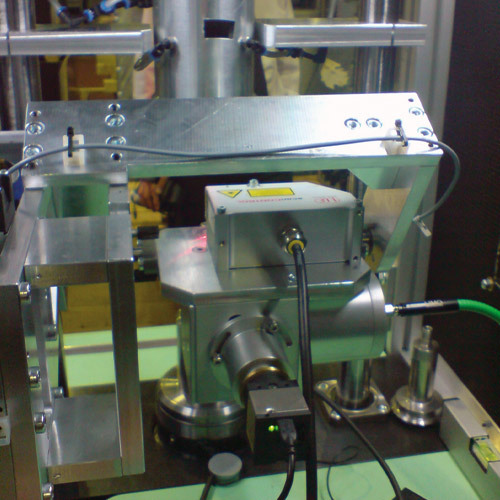 The laser welding head is positioned to the seam based on these data.